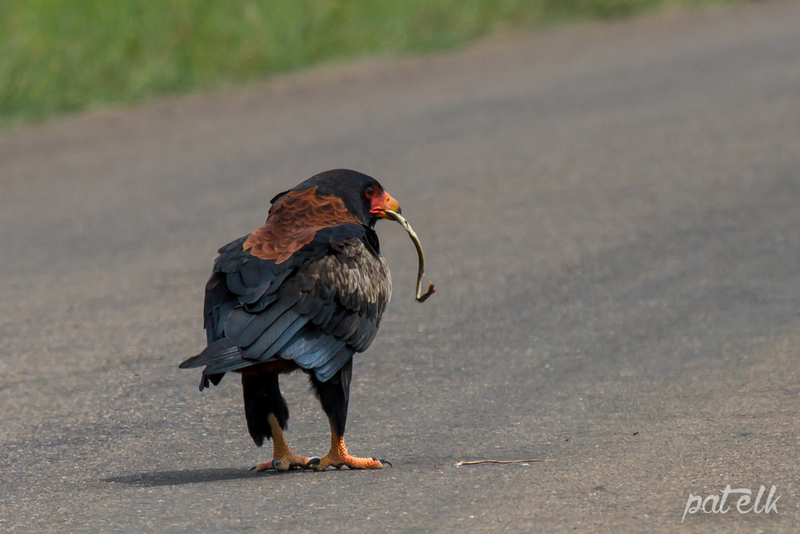 Whilst driving through the Kruger National Park we came across this Bateleur (Afrikaans name Berghaan) making a meal of a snake that had been run over. 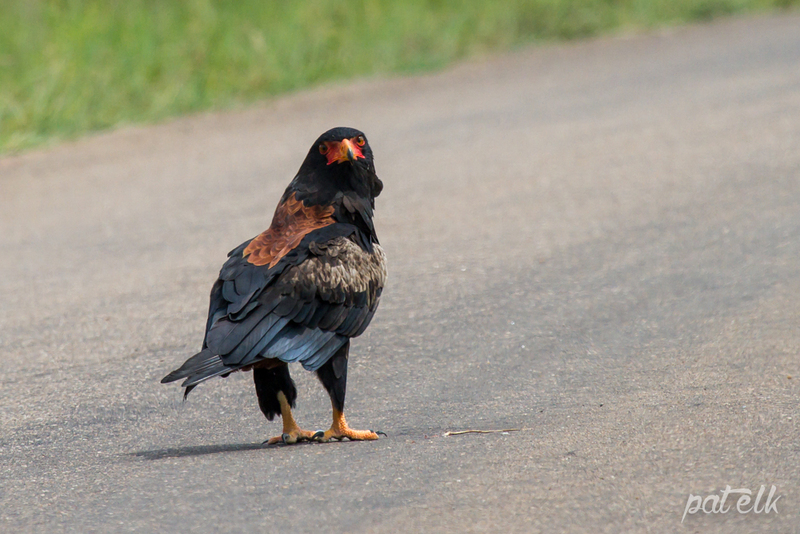 The Bateleur is a large bird with the most exquisite plumage and facial markings, the adult can not be mistaken for any other bird. 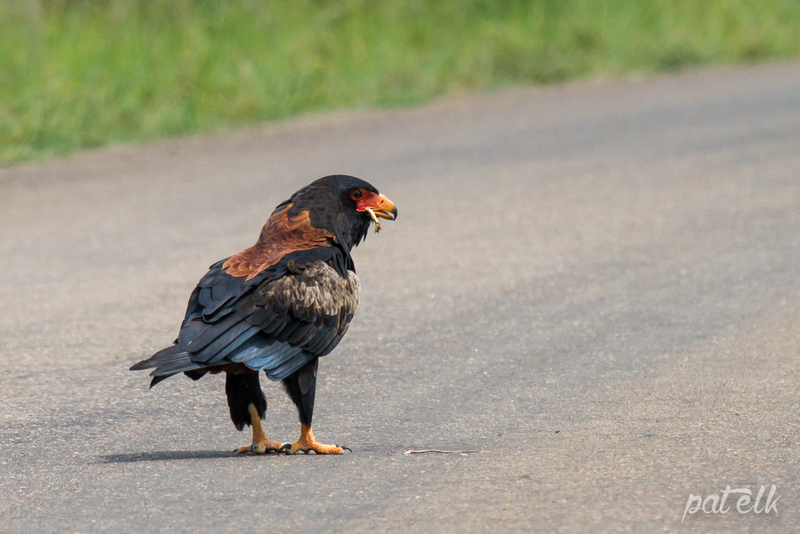 It takes 6 – 7 years for a Bateleur to attain the adult plumage, juveniles remaining plain brown. 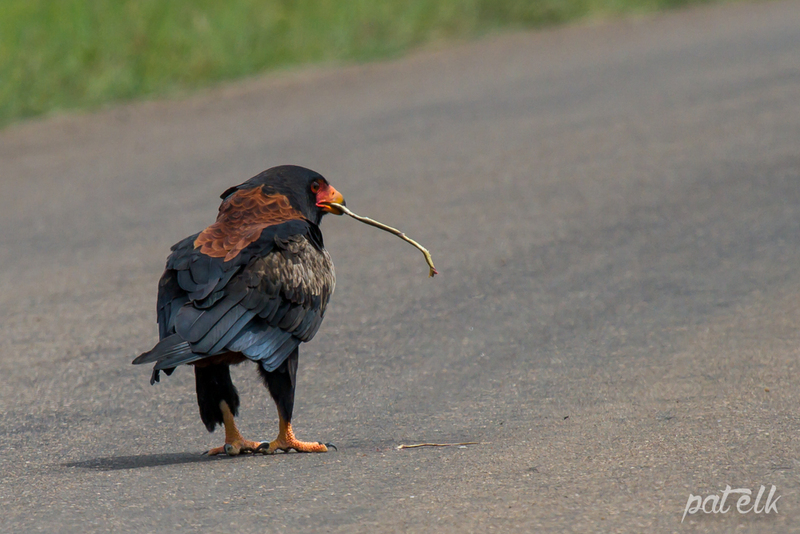 Bateleurs are monogamous and build a platform of sticks usually in the fork of a tree. These eagles are quite common throughout the park but have become vulnerable due to poisoning by farmers. 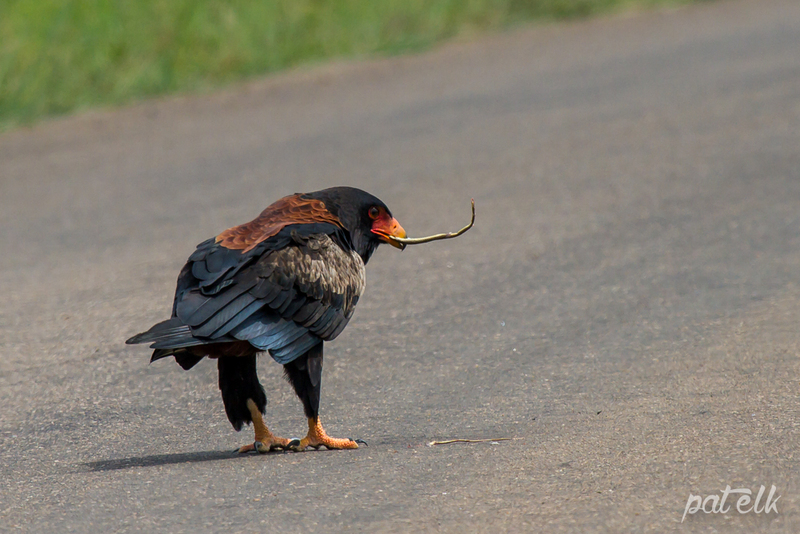 Bateleurs prey on small mammals, birds, reptiles and also scavenge by eating roadkill and drowned creatures. 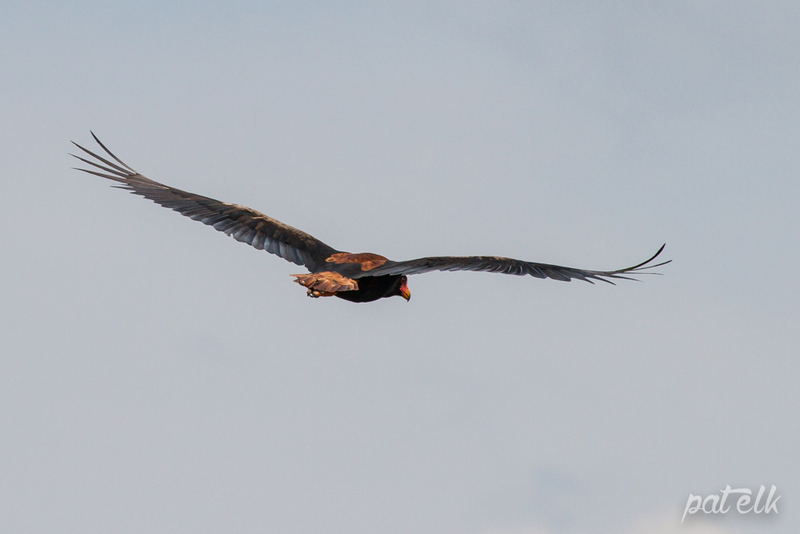 Juveniles are known to eat carrion and can be seen joining vultures at a kill. A magnificent bird of prey. He looks so strong and healthy hence the beautiful plumage. A definite favorite after the Bateleur comes the Cranes.